I recently went into the city to visit the Museum of London’s newest exhibition, Beasts of London. As I walked back to the train station, I stumbled upon a bronze statue in Paternoster Square. To begin with, I just thought it was an interesting sculpture; it reminded me of my feisty teenager. But in fact, there was more to The Fearless Girl. This statue is actually a copy of an original that first appeared in Manhattan’s Bowling Green, staring down the Wall Street bull. The statue is actually part of an advertising campaign from State Street Global Advisors to send a message on having gender diversity within the workplace and also to highlight the lack of women at senior level. 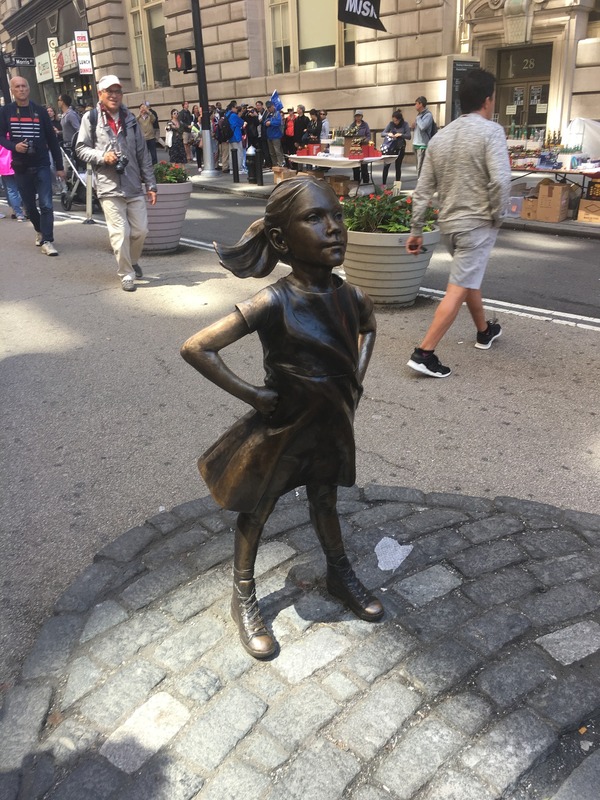 In spite of the controversies such as some thinking it was promoting corporate feminism, and also hijacked by a certain ‘Make America Great Again’ campaign by activists, the statue has turned into something quite iconic: It now seems to resonate with so many girls that they can be resilient and achieve anything they want. 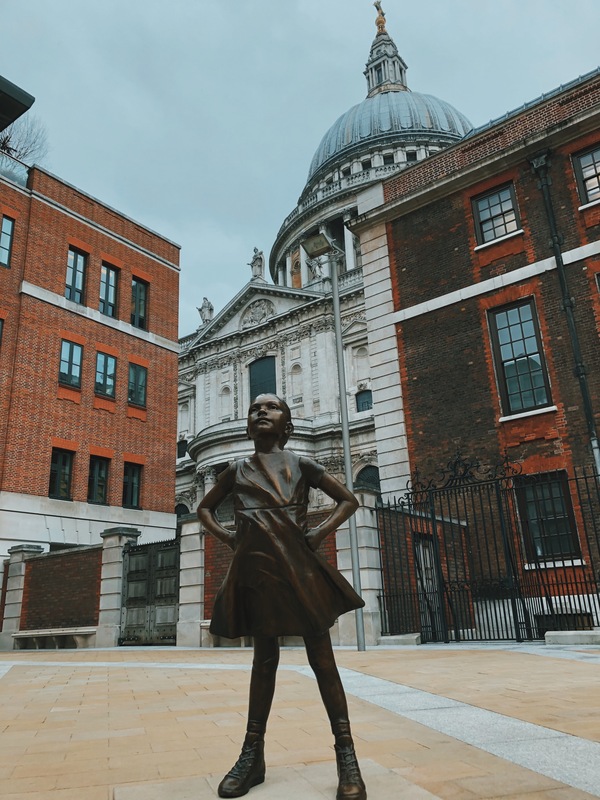 And now, Paternoster Square has its own Fearless Girl. She stands defiantly in the square with St Paul’s as a backdrop. She certainly made me stop and look. At the time, my teen girl was away in France skiing with her school, and she’d be so determined to go and was not going to feel homesick and enjoy the experience. Seeing the fearless girl that day really made me think of her and all I hope she’ll achieve in her life with her grit and determination. Of course, there is a lot of discussion to be had on gender pay gaps, women in leadership and gender diversity at board level, as there is that how can a statue possibly help the financial district make progress in these areas. However, I certainly stopped and looked, and it made me think: In my view, girls can do anything. 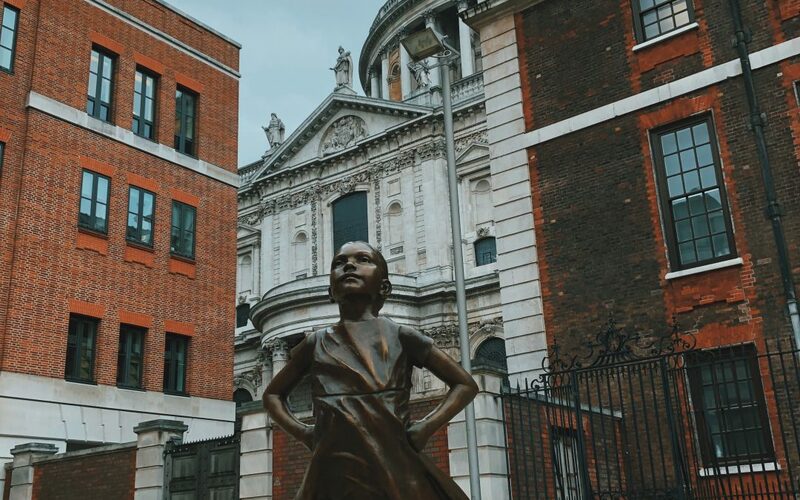 The Fearless Girl is in Paternoster Square until June. I’d love to know your thoughts on her and if you’ve seen her?